This blog post is presented in Feel-A-Round. Summer 2012 is shaping up to be a quiet season of anime for me. Aside from shows continuing from spring 2012, not much from the current season interests me. This might be the quarter where I catch up on my re-watching backlog and finish reading those books on Byzantine history I've been meaning to complete. At the moment, I'm only watching Jinrui wa Suitai Shimashita, Smile Precure!, Binbogami ga!, AKB0048, and Dakara Boku wa, H ga Dekinai. 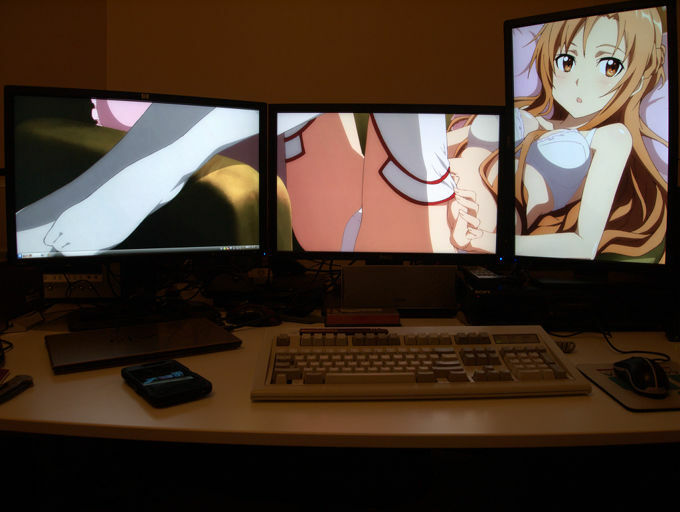 again (because I bought a fourth monitor).